Ritz Recipes delivers curated recipes directly to your kitchen. 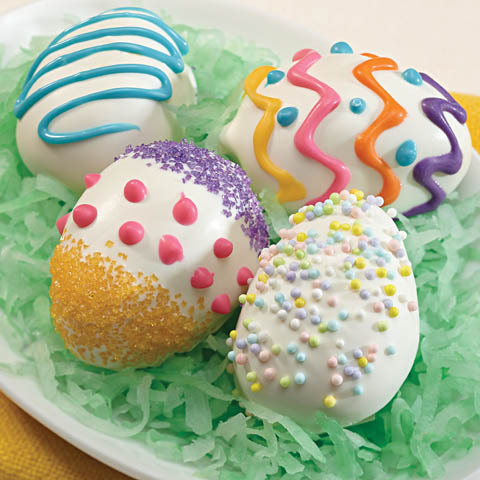 Browse our recipes, add ingredients to your shopping list & walk through the recipe preparation. Ritz Recipes delivers curated recipes directly to your kitchen. Browse our recipes, add ingredients to your shopping list & walk through the recipe preparation at your own pace. You can even step away from the recipe preparation steps and return later, resuming the recipe where you left off. 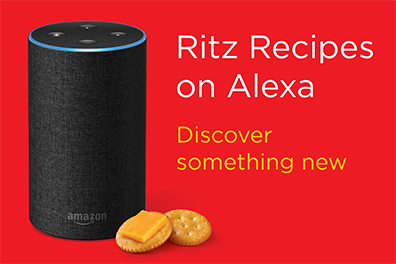 To start using the Ritz Recipes skill, just say “Alexa, open Ritz Recipes” and begin exploring the list of featured recipes for upcoming seasonal occasions or search for recipes that incorporate a particular ingredient. 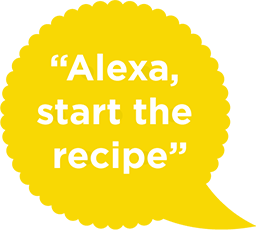 Once you find one you like, select the recipe and you can add all the ingredients to your Alexa Shopping List by saying “add ingredients to my shopping list.” Or say “start the recipe” to hear the recipe preparation, step-by-step. 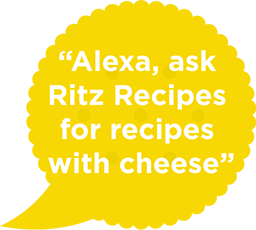 Don’t forget that you can interrupt Ritz Recipes at any point just by saying “Alexa” and your desired command. 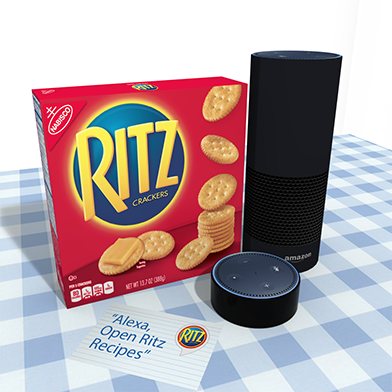 The Ritz Recipe Skill also automatically sends the selected recipe card to the Alexa App on your associated smart phone, making prep easy no matter where you are. Featuring custom content for the Echo Show, Ritz Recipes is also designed for voice-only models of the Echo. If at any point you need help within the skill, just say “Help” for guidance. 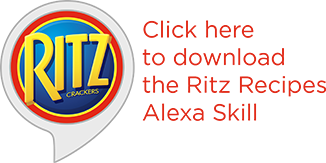 You can also start a new search by ingredient, occasion, or even ask for a random recipe at any point while using Ritz Recipes. By replying with “Yes” when asked if you would like to hear the particular recipe. This requires granting Ritz Recipes the appropriate List permissions. See FAQ below. Open Alexa App on your phone. Click Setting to view permission setting. 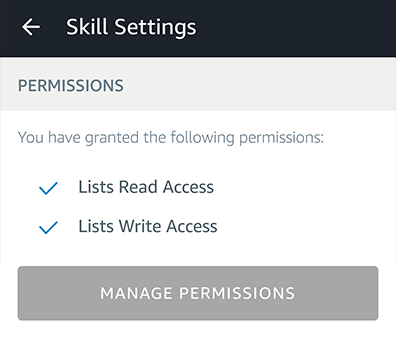 You should see a check mark to indicate the skill is authorized for both reading and writing to the lists.